I am starting a new weekly entry entitled Wednesday Wit and Wisdom. I will post something cute, funny or interesting that my children have done or said recently, or a bit of wisdom I have learned and want to share. I hope you will join me and leave a reply about something your children have done or said recently. Or, if you prefer, please leave me a bit of wisdom about rasing children. 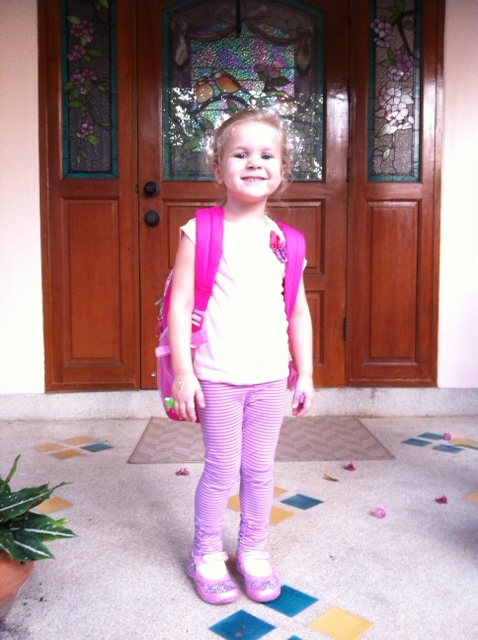 Lilly’s first day of preschool.